Bosnia and Herzegovina became a Member State of the United Nations on May 22, 1992 (Resolution 757). As a successor of the Socialist Federal Republic of Yugoslavia (SFRY), Bosnia and Herzegovina became the State Party in all conventions and agreements ratified by SFRJ. Bosnia and Herzegovina participates in the work of the United Nations through the Permanent Missions to the UN in New York, Geneva, and Vienna, as well as through the Embassy of Bosnia and Herzegovina in Paris (UNESCO) and Embassy of Bosnia and Herzegovina in Rome (UNFAO). Relations between Bosnia and Herzegovina and the United Nations are predetermined by up-to-date international political and economical situation and are developing through monitoring and active participation in resolving international crises, taking part in the work of UN bodies in which Bosnia and Herzegovina is a member, trough election process in the bodies for which Bosnia and Herzegovina is running as a candidate, as well as, political issues mostly related to the monitoring of work of the UN General Assembly, Security Council, ECOSOC, and other UN bodies. Situation in the Middle East – Iraq, Syria, Israel and Palestine. 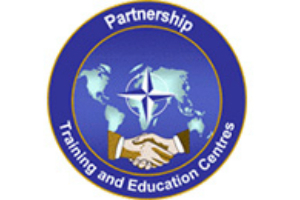 Bosnia and Herzegovina takes active participation in the Eastern European Group. If necessary, Bosnia and Herzegovina participates in other regional groups of countries within the UN. From being the object of international politics, Bosnia and Herzegovina is gradually moving towards taking over the role of active participant in resolving international problems. Bosnia and Herzegovina is included in peacekeeping operations worldwide. 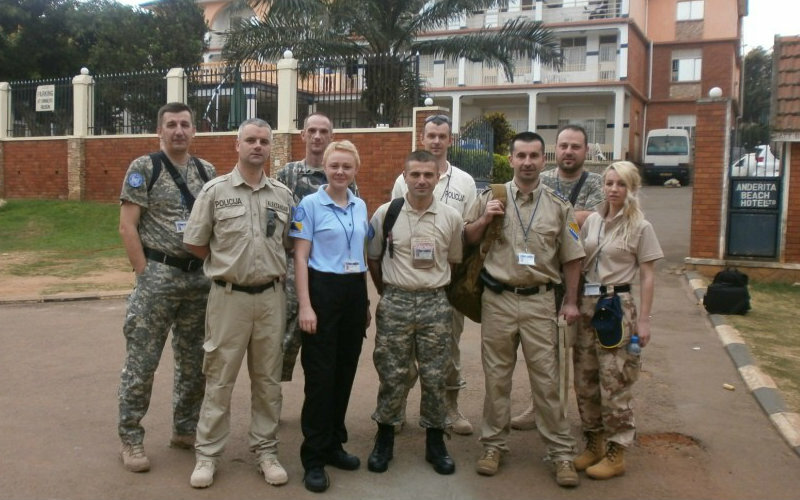 Currently members of the Armed Forces are engaged in UN Peacekeeping Missions in Congo and Mali, and police officers from Bosnia and Herzegovina are engaged in Cyprus, Liberia, South Sudan, Afghanistan and Somalia. Bosnia and Herzegovina is a member of many UN bodies, including the Peacebuilding Commission and the Executive Board of UN Women. 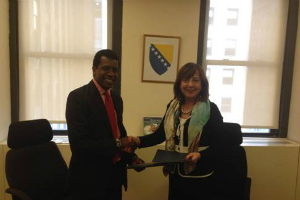 Bosnia and Herzegovina is also active in the organization of conferences and other multilateral activities. Bosnia and Herzegovina has successfully been a Non-Permanent Member of the Security Council in the term 2010-2011 and was a member of the Human Rights Council in the period from 2007 until 2009. Bosnia and Herzegovina decided to continue with the new proactive approach in terms of the candidacy for a membership in the UN bodies.